I never thought that soon enough I would be experiencing smoother and softer legs the very first time I tried @Schick Hydro Sensitive Care Razor. Honestly, in the country where I came from, it’s uncommon for women to shave their legs. Therefore, when I moved into a different country and has a different culture, I started to remove the thin hair legs I have. I’m clueless due to the changes; I used different products, as I don’t know which one to use. I settled with one product, quite happy, but there is a disadvantage for me. 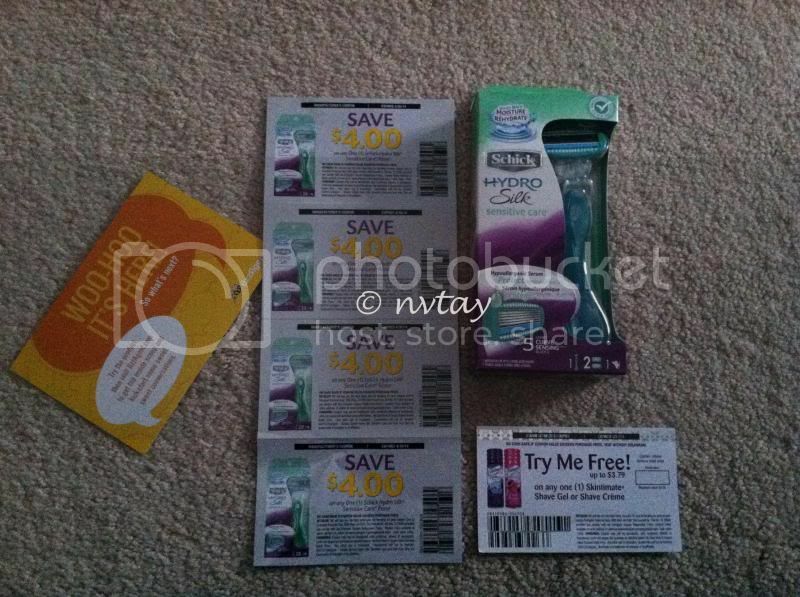 I received my @Schick Hydro Silk Sensitive Care Razor a full size and one free Shave gel coupon to try the product. At first, I was being skeptical, I was judgmental this is something I might or might not like. Nevertheless, I was incorrect, @Schick prove my doubts off beam. I tried the razor one afternoon and I could not be any happier, this is what I just need. A good razor for my skin, thanks for this now things would never be the same. A disclaimer: This is not a sponsored post. I am a BzzAgent and I received Schick Hydro Silk Sensitive Care Razor for FREE in exchange of my honesty review. The outlook I expressed is 100% exclusively mine. Glad you liked it and do the shaving regularly for smooth skin on your legs. Oh wow! I am a member of BzzAgent too and just got my Keebler samples. Anyway, based on your disclaimer, are we required to post a review about the products we receive thru our blog? I thought we only need to share it via their sharing tools (including but not limited to other social medias)? I probably have to change mine if that's the case because in my disclaimer I always say "I received a sample product but was not required to make a post/review about it." or something like that. I don't shave ever but I guess when you have thick hair on your leg, you really have to. glad you found a shaver that works perfectly for you, Novs. looking softer and smoother legs indeed. I grew up knowing that for women, hair-free legs have always been the norm. It's good that you got to try something that you like and works for you. That looks like a serious razor Nova. :) I haven't used that brand yet. I use mostly Gillette because I am more comfortable with the brand. This is something worth trying. I never tried razor in my legs because there's nothing to shave, lol! I don't know if it's true but I heard that if you shave, the hair will grow back thicker. I've been trying to find a good razor. I might check this out! Thanks for sharing. How cool! Sure you must feel refreshed now. Glad it worked for you.